Ron and I have owned the home for 5 years and love it here. This is a duplex house, we only rent out one side and the other side is for us when we vacation here. One of the most beautiful 2 Mile stretch of beach, awesome for those long walks on the beach. Great for families with children. Very close to beach, less than 300 yards . The Tides Inn is at the end of our street, less than 300 yards. Great flat beach for kids. Great location. Very comfortable. Everything we needed/wanted. Loved having an easy walk to the beach. Beach chairs provided. The home was cozy and had everything needed for easy living. The owners were very responsive (power outage took out WiFi). Our stay could not have been better! Perfect place perfect location all the amenities and more they even had Keurig!!!! Such a great place clean cool cute beach decor Loved all the special touches gas grill ample outdoor seating for morning coffee and sundown chillin and oh Keurig!!! We’re so glad you enjoyed the property and beach . Ron’s feeling sad he missed meeting Joe Montana. Beaches you will love goose rocks!!! We’re so glad you enjoyed the property and the beach on your vacation. Hopefullly we’ll see you again. 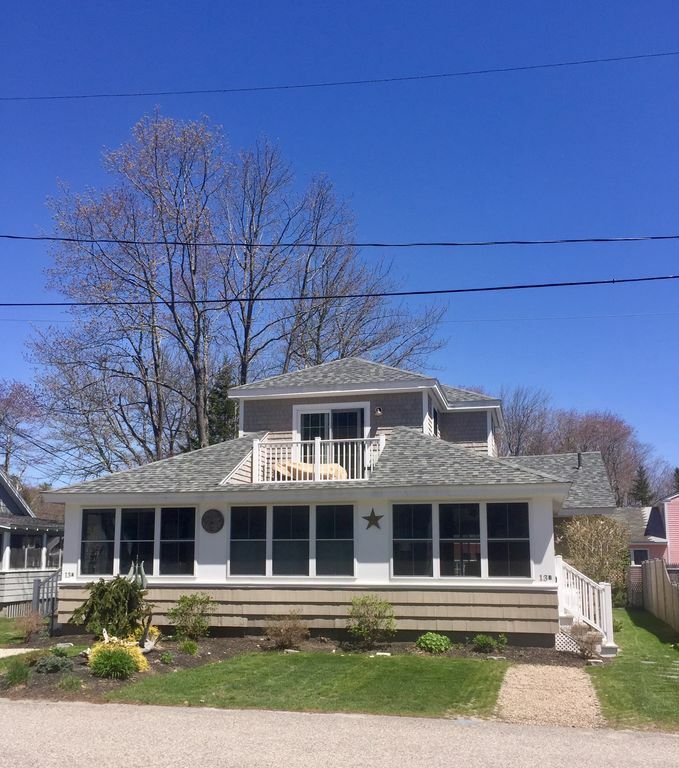 This property had something for everyone in our family of five....proximity to beach, proximity to great cocktails in walking distance and close to general store. The property had a place for everyone too - sun room, living room, deck and backyard. Ample space. Great beach decor - loved the sea glass colors and the bead board! Relaxing weekend in ME....will return! Charming, meticulously clean charming and beautiful property and the owners are so friendly and very kind and respectful of your privacy. Best vacation I’ve had in over 10 years! Thank you for the review we’re so glad you enjoyed the property. We hope to see you return for another great vacation. Located 150 yards from Goose Rocks Beach. Enjoy a maine lobsters and many shops in Kennebunkport center just a 5 minute ride. Explore Ocean Avenue and the many beautiful homes, including the Bush compound.